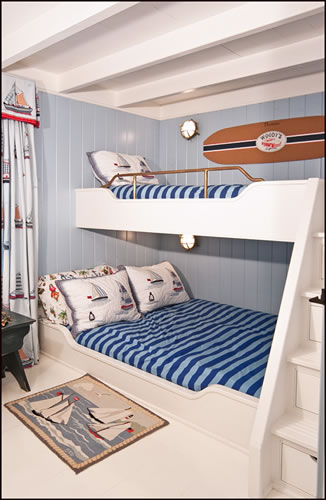 I am still in the process of deciding which way to go with the Big Beach House Brat's bedroom redo. 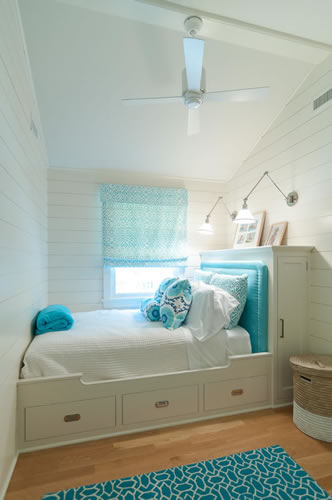 These Beach House style bedrooms cater for sleeping in smaller spaces for larger numbers of people, so are the perfect solution for holiday homes or generally, if you have lots of guest to stay. 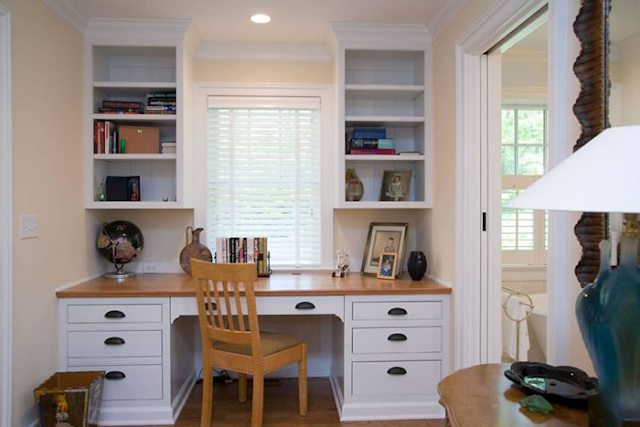 Here is some inspiration from architect, Darren Helgesen, that I love. His style is cool, relaxed Beach House. First up are some of his ideas for beds in small spaces. 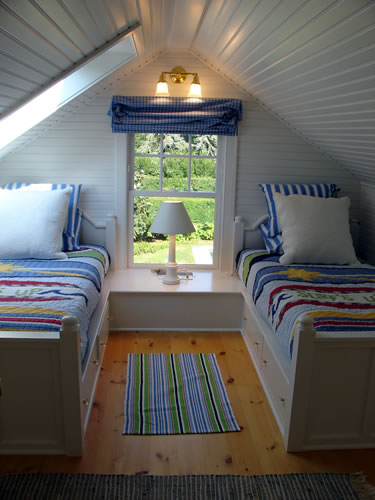 I love this one for a holiday home as you can sleep 3 people in such a small space. These are great for all the under bed storage and look, the bed head is even a cupboard. 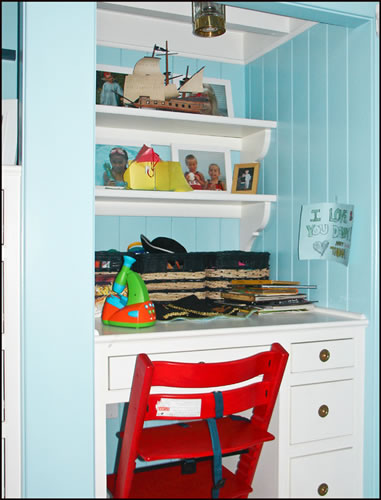 I think this desk for a kids room is fantastic. 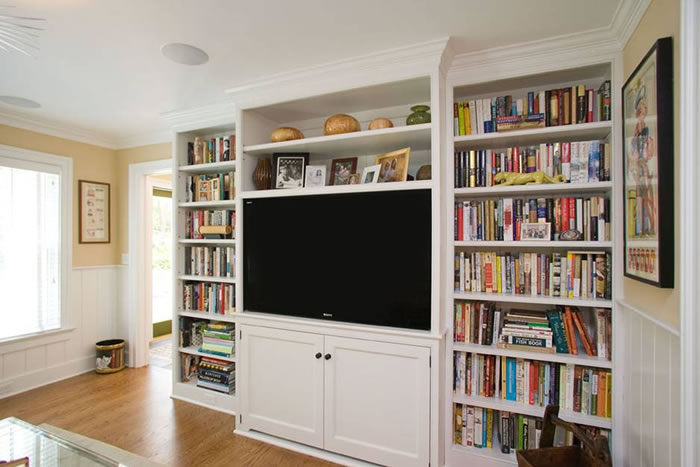 Love the bead boarding and detailing on the shelves. This built in desk is for a larger space and looks fabulous with it's built in shelving. 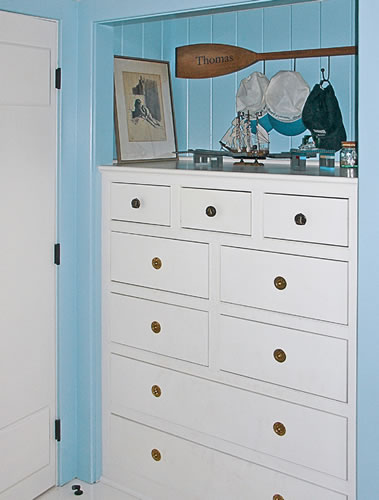 This nautical styled chest of draws is so compact, yet looks like it would hold lots. The inset draw handles are another feature, which I like because they save space and add to the nautical feel. And I just can't go past these fantastic built in book shelves. This kinds of joinery is really big in Australia too. Love it. 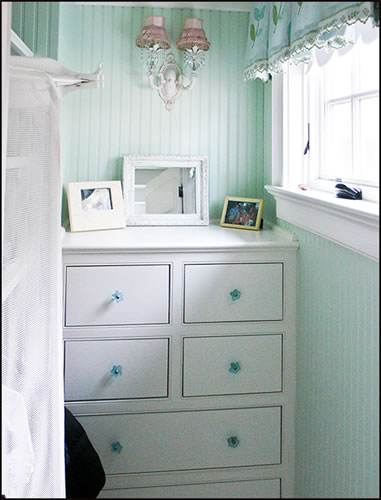 You can see one of his gorgeous makeover projects, which I recently featured here. B3 has a really small bedroom so we made the most of his space by building in his bed with bookshelves either end for books and toys and storage under the bed. some great ideas! i like the idea of the name on the oar. Great pics of bedrooms. I love the way they look. I have a link party on Wednesdays, and I would love it if you would link this and any other posts. It is called Wednesdays Adorned From Above Link Party. It runs from Wednesday to Sundays. 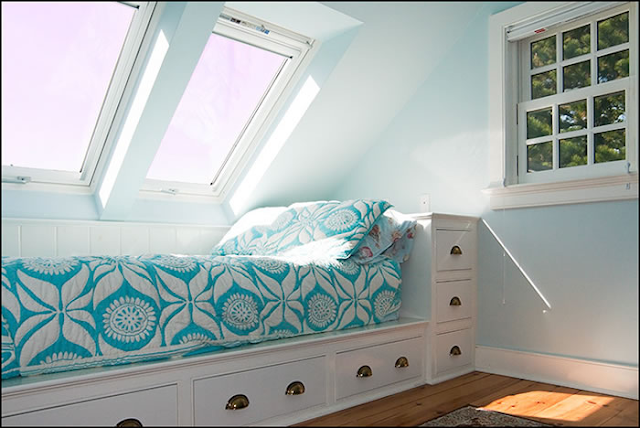 The last bedroom picture is wonderful, it has given an idea how to save space using multi a purpose bed.